LVMH Moët Hennessy Louis Vuitton, the world’s leading luxury products group, recorded revenue of 17.2 billion Euros in 2008, an increase of 4%. Organic revenue grew 7% for the year. In the fourth quarter, reported revenue was 5.2 billion Euros, an increase of 4%. Profit from recurring operations rose by 2% to 3 628 million Euros. This performance, achieved in the current economic environment, is even more noteworthy when compared to the Group’s strong performance in 2007. The negative exchange rate impact was again high this year, particularly in the first half. At constant exchange rates, profit from recurring operations increased by 6% in 2008. Group share of net profit was stable compared to 2007 and came to 2 026 million Euros. Mr Bernard Arnault, Chairman and CEO of LVMH, said: “The 2008 results demonstrate the exceptional reactivity of our organization in this period of economic crisis. The Group has always emerged stronger from previous economic downturns thanks to the dynamic innovation of its brands, the quality of its products and the effectiveness of its teams. LVMH approaches the challenges and the opportunities of 2009 with confidence and determination and has set the objective of increasing its leadership position in the worldwide luxury goods sector.” Highlights of 2008 include: – Increased revenue and profits of the Group, – Continued growth of major brands, – Further market share gains, – Double-digit organic revenue growth at Louis Vuitton, which continued to record an exceptional level of profitability, – Excellent performance of Perfumes & Cosmetics, led by Christian Dior, – Excellent performance of Sephora, – Strong financial position reaffirmed with a net debt ratio of 28%. *With comparable structure and exchange rates. Wines & Spirits: good resilience to market conditions Wines & Spirits saw organic revenue growth of 1% in 2008. Profit from recurring operations was 1 060 million Euros. This performance was achieved thanks to an ongoing policy of price increases consistent with the Group’s value strategy and the high-end positioning of its brands. Regional performances varied: overall trends were positive in Europe but demand was less dynamic in the US and Japan due to market conditions. Emerging markets, such as China, Russia and the Middle East, recorded high growth. The year was notable for the acquisitions of the Spanish wine group Numanthia Termes and of the Montaudon champagne house, which enabled the business group to strengthen its champagne reserves. Fashion & Leather Goods: outstanding performance and strengthened leadership of Louis Vuitton Fashion & Leather Goods recorded 10% organic revenue growth in 2008. Profit from recurring operations was 1 927 million Euros. Louis Vuitton recorded double-digit organic revenue growth in 2008, accompanied by exceptional profitability. The brand once again showed its powerful creativity with new, highly successful additions to its traditional lines and the success of its new canvas, Damier Graphite. A new, very colorful, collection, inspired by a previous collaboration between Marc Jacobs and Stephen Sprouse, has been a great success at the beginning of this year. Fendi performed well, driven by the continued success of the Baguette handbag and its leather goods line Selleria. Donna Karan and Marc Jacobs also proved resilient in the difficult environment at the end of the year. Perfumes & Cosmetics: market share gains and improved profitability Perfumes & Cosmetics registered organic revenue growth of 8% in 2008. Profit from recurring operations reached 290 million Euros. The current operating margin reached 10%. Christian Dior continued to win market share. The vitality of its star perfume, J’Adore, and the success of Dior Homme Sport, have contributed to the brand’s strong momentum. Make-up is growing fast and has benefited from the success of the Dior Addict and Diorshow lines. The excellent performance of Guerlain was supported by the successful launches of the masculine perfume Guerlain Homme and Le 2 mascara. The principal drivers of Givenchy’s growth were the continued progress of Very Irresistible, the launch of the masculine fragrance Play and the new mascara Phenomen’Eyes. Benefit enjoyed rapid growth in China and confirmed its worldwide success. Watches & Jewelry: strengthened iconic lines Following the growth seen in the first nine months of the year, Watches & Jewelry saw a slowdown in the last quarter. Profit from recurring operations was 118 million Euros. The good performance in Europe and Asia compensated in part for the slowdown in the American and Japanese markets. 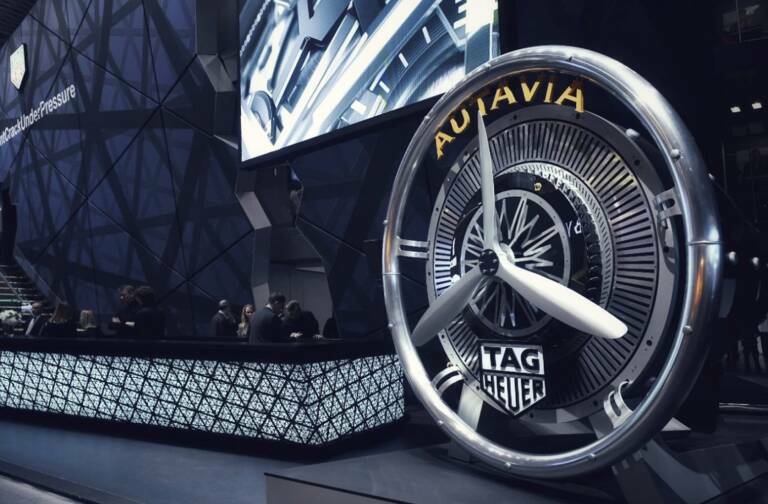 TAG Heuer continued its worldwide roll-out of the Grand Carrera collections and launched a new range of high-end luxury mobile phones. 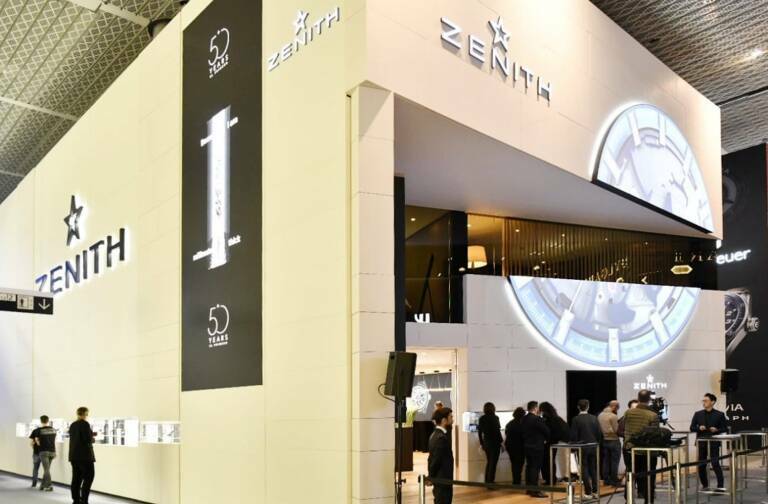 At Montres Dior, automatic models have enhanced the Christal line, while Zenith strengthened its Manufacture Horlogère position. The acquisition of Hublot in 2008 is in keeping with a true logic of complementarity. Supported by its Big Bang collection, the brand saw double-digit revenue growth in all of its markets. Chaumet strengthened its jewelry lines Liens and Attrape-Moi. Fred confirmed the success of Force 10 and De Beers expanded its network of stores. Selective Retailing: strong growth at Sephora In 2008, Selective Retailing registered organic revenue growth of 9%. Profit from recurring operations was 388 million Euros. DFS revenue grew slightly. The slowdown in Japanese tourism was offset by the momentum of other Asian clients. DFS benefited from this trend through the opening of the Macao Galleria and the airport concessions at Mumbai and Abu Dhabi. Opening new stores in these destinations requires short-term investment but constitutes an important source of future growth. Sephora continued its strong momentum in 2008 which resulted in market share gains and a continued good level of profitability. Revenue growth on a same-store basis was steady. The brand is expanding its presence in key markets and continues the evolution of its existing store network. On-line sales have shown strong growth in France, the US and China. 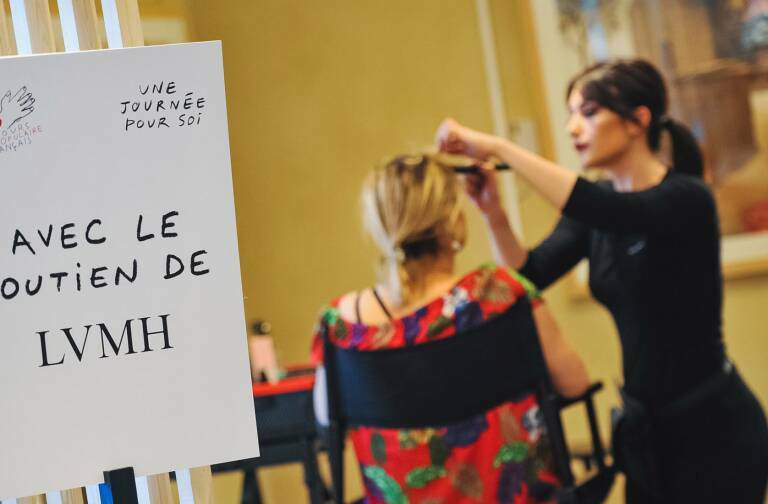 Sephora continued its differentiation strategy with a more innovative and exclusive product offering, complemented by a large range of in-store services and treatments. Further market share gains in 2009 Taking into account the limited visibility on the depth and duration of the global economic and financial crisis, LVMH continues to apply a strong financial discipline in managing all of its businesses. The Group will concentrate its resources on the most profitable businesses and markets and will continue to pursue its strategy of internal growth by capitalizing on the leading positions of its brands. Bolstered by the flexibility of its organization and the good balance between its different businesses and geographical presence, LVMH’s objective in 2009 is to continue to increase its leadership of the worldwide luxury goods market. Dividend of 1.60 Euros per share for 2008 At the Annual General Meeting of Shareholders on May 14, 2009, LVMH will propose a dividend of 1.60 Euros per share. An interim dividend of 0.35 Euros per share was distributed on December 2 last year. The balance of 1.25 Euros will be paid on May 25, 2009. Regulated information related to this press release is available on our internet site www.lvmh.com. Audit procedures carried out, audit report in progress.